Whether you are just starting college or a seasoned back to school pro, there’s always that hunt for items that will make life easier and more enjoyable. Luckily, we live in the age of tech fever, meaning we have what seems like the world at our fingertips. This fall is no different, and in the spirit of that, here’s a list of 6 tech innovations you will definitely want in your hands as you march back to campus. Studies have shown that we are more likely to retain information if we write it out, especially if it’s in our own words and done in a way that is meaningful to us.Who wants to waste all the paper of taking notes in class, though? Well, with “smart notebooks” like the Rocketbook, you don’t have to! The notebook includes around 30 pages that are later erasable, and you simply snap shots of the notes then have the ability to save them anywhere, including on cloud storage such as Google Drive or Microsoft OneDrive. Wireless earbuds are the newest players in the headphone market, allowing you to workout or head to class without the tangle of wires or fear of headphone hair. PC Mag recently rated the available options on the market, which will run you from $100-$250 depending on which brand you prefer. The latest portable device trend combines the weight and touchscreen glory of tablets with the ease of entering notes or typing that comes with a laptop. If you aren’t sure what brand to go with, CNet has an amazing guide. Personal note: I love my Lenovo Yoga. With limited outlet space and so many items that charge via USB now, everyone needs to invest in a charging station such as this one by Aukey. They also have car chargers and portable power bricks. The ability to binge your favorites on Netflix, Hulu, or other streaming services is a must for any true Millennial. 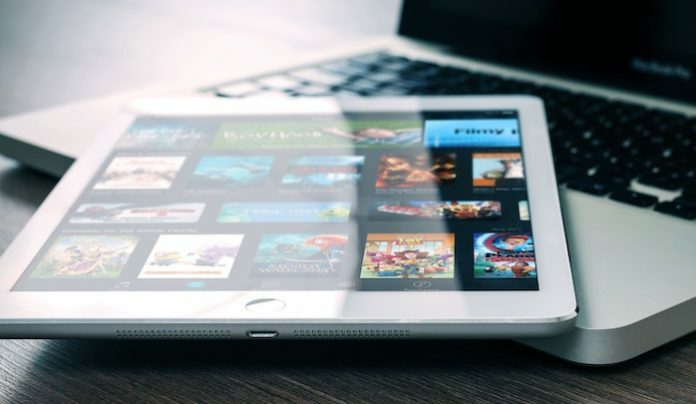 Most devices, such as the FireTV, Roku, Chromcast, or AppleTV, work in a similar manner, but it’s worth doing the research before selecting one. Personally, we have the FireTV because we use Amazon Prime services. Devices and gadgets aren’t all you’ll need to make your fall successful, but they will definitely improve it greatly. Don’t forget to look into all the other things you may want, like Amazon’s Prime Student membership, streaming services, or cloud storage like Dropbox or Google Drive. It’s time to get your tech on and your neurons pumping; best of luck with your semester!